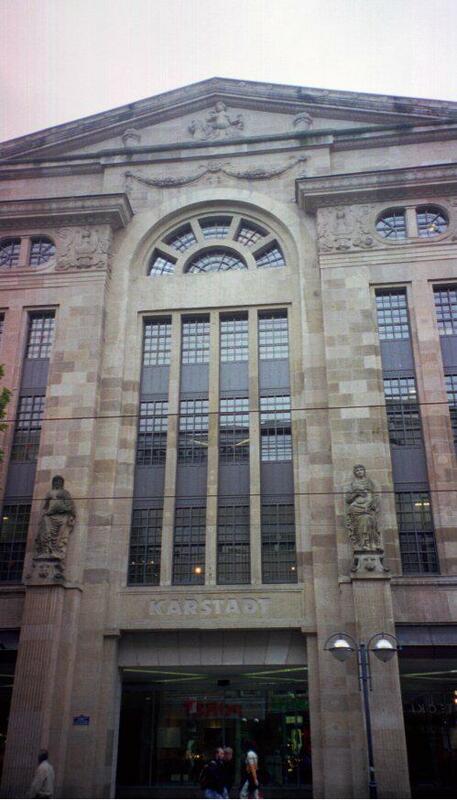 Karlsruhe is a medium-sized German town of around 200,000 people in southwestern Germany, very near the Black Forest. 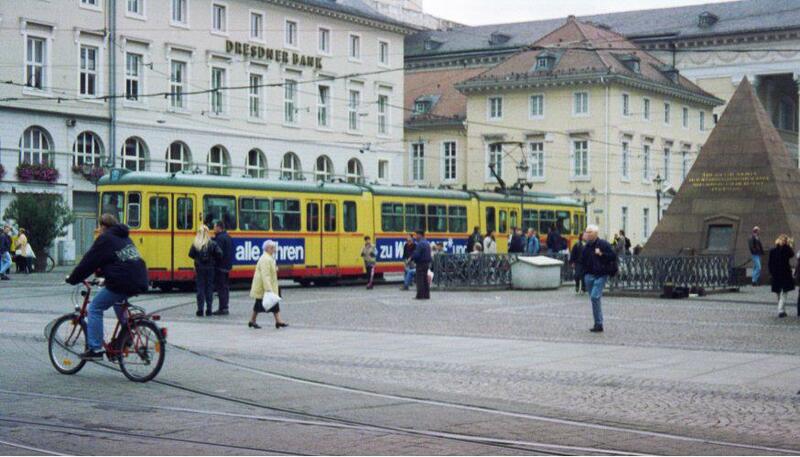 The one memory almost everyone who comes to Karlsruhe has is the trolley system; here are the trolleys rolling down the main shopping street in downtown Karlsruhe. 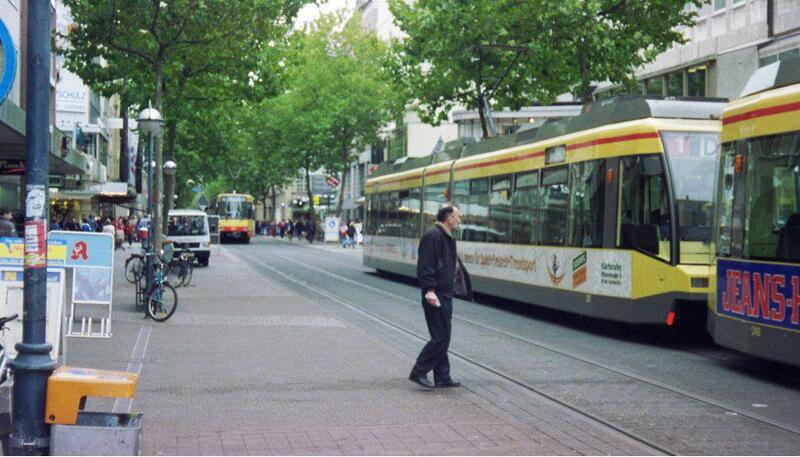 The trolleys are worth remembering, since they get you pretty much everywhere in town with no trouble at all. The folks from TransFest were nice enough to provide us with trolley tickets so we could zip around town on the trolleys at will! 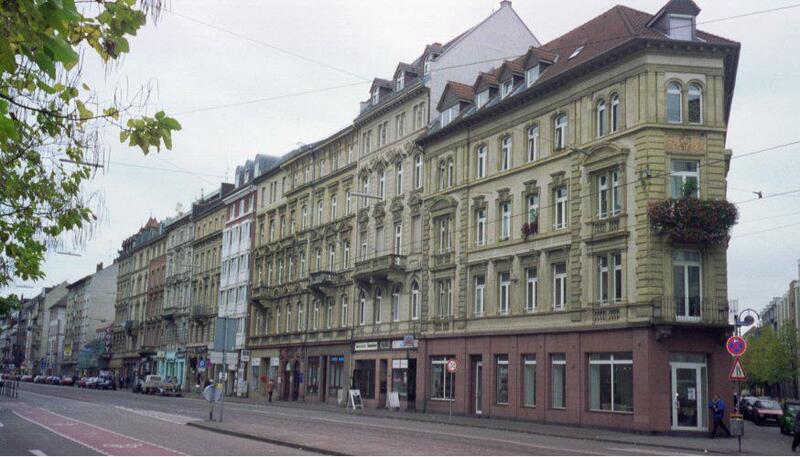 As these pictures suggest, downtown Karlsruhe was always active, but rarely busy -- I never really saw any intense crowds while I was there. Of course, like all the European cities I've been to, Karlsruhe has beautiful old apartment blocks like these. In the something-you-haven't-seen-in-America category, this imposing facade along the main shopping street houses... no, not a courthouse... a department store.